Ethel Halsey left her estate to twelve favorite charities. She continues to help others through the feeding ministries of the Society of St. Andrew. 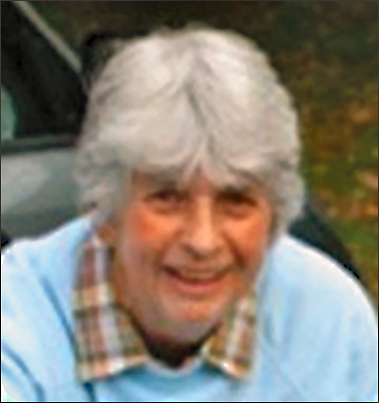 Ethel Halsey, a schoolteacher and outdoor educator from Rhode Island, was active in hiking and nature groups throughout her adult life. She supported charities that preserved the environment and promoted wise use of Earth’s resources. Ethel knew she wanted to leave a legacy that would carry on her commitments long beyond her lifetime. Never married and childless, the decisions about how to structure that legacy were entirely her own – and Ethel was a planner. She selected a dozen charities as her beneficiaries. A few were health related, but most were charities that preserve and steward the Earth. As a schoolteacher, Ethel’s income and charitable giving during her lifetime were modest. She began to support the Society of St. Andrew in 1990, and for the next 27 years she sent one check each year to SoSA, giving about $100 a year. Ethel knew her gifts were feeding hungry people and she loved that her gifts to the Society of St. Andrew were ensuring that our planet’s resources—water, land, seed, and farmers’ time and equipment—were used wisely. She knew she was ensuring that healthy food, once grown, would be eaten and not left behind in the field to rot. When Ethel passed away in March of 2018 at the age of 90, her careful planning and lifetime of stewarding her own resources—and her desire to carry on her commitments—came to light immediately. Ethel had named the Society of St. Andrew as one of the 12 charities to carry on her legacy, making SoSA a 5% beneficiary of her estate. In the last few months, that 5% share of Ethel’s nine life insurance policies and annuities have provided more than $40,000 to support SoSA’s ministry well into the future. And Ethel’s legacy will grow over the next year as the bulk of her estate is gifted to her charitable beneficiaries as well.